Researchers have long been interested in the connection between spirituality and healing. As a result, there is a wealth of information pointing to the positive effects of spiritual feelings on the mind and body. A study of 5286 Californians found that church members have lower death rates than nonmembers, regardless of other risk factors such as smoking and drinking. Other studies show similar statistically significant associations between religious beliefs and various measures of health. Research also reveals significant differences in morbidity (that is, the measure of who gets sick) or mortality (the measure of who dies) with such diseases as cancer, stroke, heart disease, hypertension, and gastrointestinal disease among many others. Spiritual involvement has also been shown to positively affect how people describe their health as well as the types of symptoms experienced, how disabling a particular illness might be, and longevity. 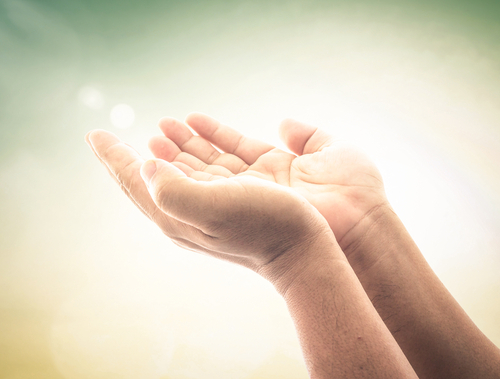 The power of prayer to influence health outcomes has been also been studied. Cardiologist Randolph Byrd did the most impressive research in this area. In 1988, Dr. Byrd randomly divided 393 heart patients entering San Francisco General Hospital into two groups. A group of Christians prayed for one of the groups while the other group received no prayer support. The patients in the two groups did not know which group was receiving the prayer support. After 10 months the medical experiences of the two groups was compared and surprising results emerged. The prayed for group were five times less likely to need antibiotics than the non-prayed for group. The prayed for patients were much less likely to go into congestive heart failure, had fewer cardiac arrests, and generally had fewer complications than the not prayed for patients. Basically there are over 200 studies, which show that prayer, religion and faith improve our physical and mental health as well as our outlooks on life. People who attend church regularly have lower cancer rates, reduced blood pressure, less depression, fewer addictions and live longer. Religious practice can also improve immunity, as shown by research done at Duke University. Blood tests of immune function were performed on 1718 people. Those that attended church regularly had evidence of improved immunity. Religion is more than good deeds and kind words. It is a process that transforms us from fragmented and alienated individuals driven by the wounded dictates of personal ego, into a whole person who recognizes his responsibility in the world outside, and can see himself in all people. A spiritual teacher of mine expanded greatly my understanding of spiritual practice and growth when he said that for modern mankind releasing the pain of childhood through emotional expression was just as important as meditation. He explained that to me that there was light within each of us, as well as darkness. The human personality, or ego, defends against the pain, or darkness, stored in our unconscious minds, and in doing so, it perpetuates denial about who we really are. Consequently, we live our lives controlled by the ego, which filters out the “undesirable” parts of consciousness, and presents to the world the façade of who we think we are. He continued on, explaining that the essence of self-realization was to accept all that we are in totality, in a sense of self-love. 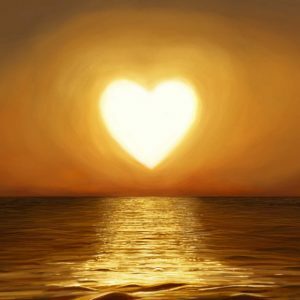 Love is the energy of healing, not only for those around us, but also for ourselves. The rejected parts of our psyche, stored in the shadow of the unconscious mind, are also a part of us, and they are a powerful part. The contents of the shadow can be accepted and released by feeling emotions as they arise within the challenges and difficulties of life. This healing process depends on accepting challenges, and the emotional pain they birth, as our own creation, instead of blaming them on others around us. In this manner the darkness within becomes a little lighter, and we know more of who we really are. It may be that seeking a higher understanding of life through religious practice of any kind can create the ultimate passion of all. History is full of examples of extraordinary accomplishments motivated by a personal experience of a higher power. For some a religious experience that has become mundane and routine can be re-kindled into a deeper passion for God and a higher understanding of the human condition. I know one gifted natural healer who seems to agree. He is a simple farmer who developed two different cancers early in his life. His deep religious conviction guided his own healing journey into a complete remission of both episodes of cancer. His experience touched him profoundly and he began to receive calls from other people with cancer. Using simple healing methods combined with a powerful spiritual awareness, he has guided thousands of patients to recovery. His remission rate is close to an astonishing 95%. When I asked him about his approach with cancer patients, he told me that the first thing he asks people to do is replace their fear with a personal connection to God and a higher purpose their lives. For many of us, our spiritual connection is something that stays in the background of our lives. It’s not part of our daily thoughts or behavior. So spend a moment here and there to reconnect, whether through prayer, meditation, or simply recalling something positive about your relationship with spirit. Perhaps you’ll want to remind yourself of a time that spirit seemed to intervene in your life – a “chance” occurrence that came right when you needed it, a passage in a book that seemed to be exactly what you needed to hear at that moment, a wise voice that spoke to you from inside your head. You may want to affiliate with a group, church, or organization that shares your beliefs or subscribe to a periodical that speaks to your faith. This approach doesn’t work for everyone, especially those for whom spirituality is a private, individual matter, but it clearly has benefits for those who do affiliate in this way. Use your intuition. As Herbert Benson, M.D., author of the seminal The Relaxation Response, recommends, let yourself be guided at least in part by intuition the next time you are confronted with a medical or other major decision. Don’t do this ignorantly. Put yourself in competent professional hands if appropriate and gather whatever research you can. But when it comes time to make the decision itself, let your feelings or instincts play a significant part along with the more logical factors. Be aware of the flipside of the spiritual/health connection: bleak thoughts and emotions will hurt your health. I’m not suggesting that you be a Pollyanna about your condition because, as I’ve emphasized earlier, denial doesn’t reverse or disarm negative thoughts and emotions, it just sugar-coats them. But overly dark moods are just as divorced from reality as too sunny ones. Tell yourself the truth, in the most positive terms possible. The half-empty glass is also half-full. We have spent most of this book talking about how emotions and thoughts contribute to illness and how to use those same pathways to get well. But keep in mind that the “highest and best use” of this information is to use it for its own sake – that is, to pursue personal growth as a goal unto itself. This has the enormous side benefit of helping to prevent illnesses from forming in the first place because through growth, we are emptying the unconscious mind of its disease-causing contents. But even this shouldn’t be our ultimate aim in choosing to grow. For one thing, there is no surefire way to prevent all illness. A variety of factors can lead to sickness and while personal growth eliminates some of the most significant of those, it can’t eliminate all of them. But the most important reason for dedicating ourselves to our growth is the way it elevates our experience of life. It is, the sages say, why we are here – to learn and grow. The inner journey is also the most fascinating and richly rewarding journey we can undertake. There is no end to the dimensions and dynamics that make up our personalities and drive our perceptions and behavior. Studying them is like hiking in the Grand Canyon – at every place the trail goes around a bend, we find ourselves awed by a magnificent new vista. The real payoff on the growth path isn’t the scenery, however – it’s the life changes that occur as we apply what we learn about ourselves along the way. We often hear old timers say, especially on birthdays, “I’m not older, just better.” That’s because they’ve learned so much in their years of living that hurdles that once seemed impossibly high now barely qualify as speed bumps. If you stick around long enough, you too may reach a stage where things that once baffled or intimidated you no longer do. But why should you have to wait until the winter of your life for permission to start living? Wouldn’t you rather have wisdom now so you can start applying it immediately? That’s what a commitment to grow does for you – it front-loads the learning that takes most people a lifetime, if they accomplish it at all. And then it is available to enhance everything that you do. Here in the West, the way we think about personal growth owes much to the pioneering ideas of psychologist Dr. Abraham Maslow (1908-1970). Born in Brooklyn, New York, Maslow received his professional training at a time when the physical sciences dominated psychology. But he wasn’t convinced by his professors. He felt that the portrait of the person painted by psychology in those years was incomplete and deceiving. He was also frustrated with psychology’s focus on sickness rather than health, which in his view only added to its limited view of people. He dedicated his career to reversing these trends and establishing a new psychology based on a more positive and expansive vision. 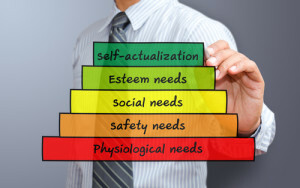 Maslow articulated his then-radical views in his book Toward a Psychology of Being, which would become a foundation work in the field of humanistic psychology. In it, he stated his belief that every human being possessed an essential, biologically based inner nature, which was “either neutral or positively good.” He also argued that the impulse to grow and “actualize” one’s full human potential was present in everyone even in infancy, regardless of the family and society into which they were born. In Maslow’s view, the drive to actualize ourselves competes with other more basic needs, such as the need to feed, clothe, and shelter ourselves and our need for affection and self-esteem. In most people, the basic drives win out and the person falls short of all he could be. But the potential is still there, waiting to be tapped at any time. Increased acceptance of self, of others, and of nature. Increased detachment and desire of privacy. Increased autonomy and resistance to enculturation. Greater freshness of appreciation and richness of emotional reaction [italics added]. Higher frequency of peak experiences (see below). Increased identification with the human species. Changed (the clinician would say, improved) interpersonal relations, and the ability to love. Certain changes in the value system. … an episode, or a spurt in which the powers of the person come together in a particularly efficient and intensely enjoyable way, and in which he (or she) is more integrated and less split, more open for experience, more idiosyncratic, more perfectly expressive or spontaneous, or fully functioning, more creative, more humorous, more ego-transcending, more independent of his lower needs, etc. He becomes in these episodes more truly himself, more perfectly actualizing is potentialities, closer to the core of his Being. Maslow and other early humanistic psychologists set the stage for the human potential and personal growth movements of the 1960s and ’70s. The excesses of these movements have invited derision and some savage (and often right-on!) satire from certain quarters, but no one contests the value of moving forward in life instead of staying stuck, of confronting our difficulties instead of pretending they don’t exist, and of taking risks instead of always retreating to what is predictable and safe. The frontier issue now in personal growth is to prove that achieving psychological health will make a major impact on physical health. We are still some distance from satisfying science’s strict criteria in that regard but I think you can see from the previous chapters that the evidence is already pretty strong and becoming more convincing all the time. An ability and willingness to experience emotions as they arise in consciousness. Meaningful relationships; the ability, and opportunity, to give and receive love. A sense of humor about life. A feeling of spiritual connection. Sensitivity to the messages your bodymind is sending you and willingness to accept those messages as challenges to grow, through Edgework or similar means. Discovering what your passion or creative purpose is in life and centering your life around it – in your work or your life outside work, and preferably in both. The awareness to recognize limiting thoughts or attitudes and the commitment to change them. The courage to take responsibility for the experiences in your life. Accepting the challenges in life as opportunities for shadow release and growth. The sum total of all these items is a new model of mental and emotional health that I believe cannot fail to make a dramatic mark on a person’s physical health as well. In fact, if you add to these mental, emotional, and lifestyle qualities a sensible diet, sufficient exercise, and proper rest, you become a virtual fortress of health that any disease will have tremendous difficulty penetrating. But while prevention is an important goal, I would hope that you are aiming even higher when you choose to optimize your mental, emotional, and lifestyle fitness. I hope that whenever you are confronted with a personal limitation, you take it as an insult to who you really are and resolve to scale it; that few things excite you more than expanding awareness of your inner and outer worlds; and that for you, nothing less will do than a life filled with love, joy, and passion. Health is a marvelous thing, but more marvelous still is a life that is fully lived.